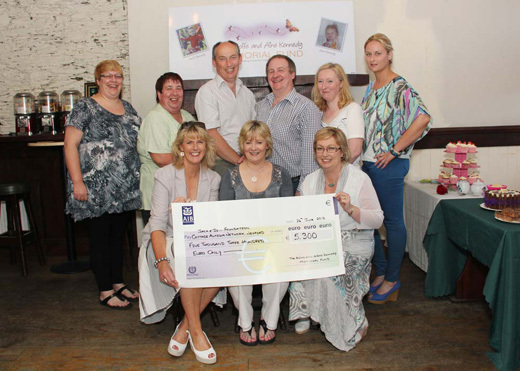 A cheque for €5,300 was made this summer to The Jack and Jill Children’s Foundation and Cottage Autism Network Wexford. Funding was raised at the annual halloween ball from October of last year. Pictured are Joanne Doyle from Jack and Jill Foundation, Sinead Breen, Alsonin, from Cottage Autism Network, Helene O’Leary and Michelle Mythen. Representing The Aoife and Aine Kennedy Memorial Fund, are Colm, Ailish Walsh, Mary Walsh, Matt and missing from picture Michelle O’Hara.